Since the time of the Vikings, Scapa Flow has been recognised as a safe anchorage. It really came into its own during the First and Second World Wars, when it became the northern base for the British Home Fleet. 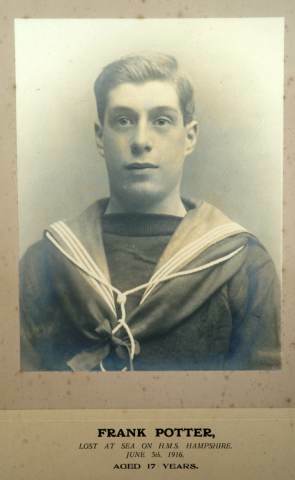 WWI: On 5th June 1916 at 8.45pm (BST), the HMS Hampshire struck a mine off Orkney's west coast. She carried Secretary of State for War Lord Kitchener, who, along with 736 other men, were lost. 2016 saw the 100th anniversary of her loss, and our summer exhibition that year commemorated this loss. The British Battleship HMS Vanguard blew up at anchor in Scapa Flow on 9th July 1917. 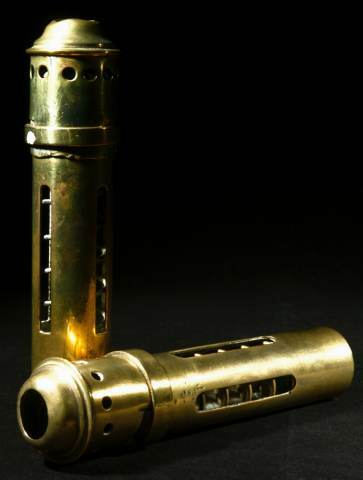 Unstable cordite in the magazines caused the huge explosion that tore the ship apart. At 11.40pm a column of orange flame was seen rising from behind the foremast. This was followed by a huge explosion that destroyed the ship, casting wreckage over a huge area. The force of the blast was so powerful that a complete 12 inch gun turret weighing over 400 tones was found on the island of Flotta, a mile away from where the ship had been. 804 men died, only 3 survived the blast, one died later from his wounds. The remains of HMS Vanguard is a war grave and diving is forbidden. The German High Seas Fleet was interned in Scapa Flow following the Armistice of 11th November, 1918. 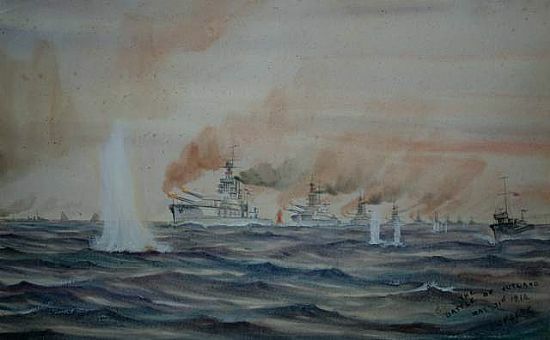 On 21st June 1919, Admiral Von Reuter, fearing that the ships would fall into enemy hands should the peace talks fail, ordered them to be scuttled. Unfortunately, 9 Germans were shot whilst abandoning their ships, meaning the last casulaties of the Great War were here in Orkney. 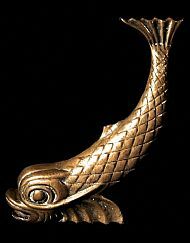 WWII: On the night of the 13th/14th October 1939, the German submarine U47 penetrated the defences of Kirk Sound and entered Scapa Flow. Its commander, Lt Gunther Prien, found HMS Royal Oak lying at anchor near the Holm shore. He fired a torpedo which missed, renavigated in a circle and fired again. The torpedoes hit the ship at 1.15am; it rolled over and sank in 15 minutes. 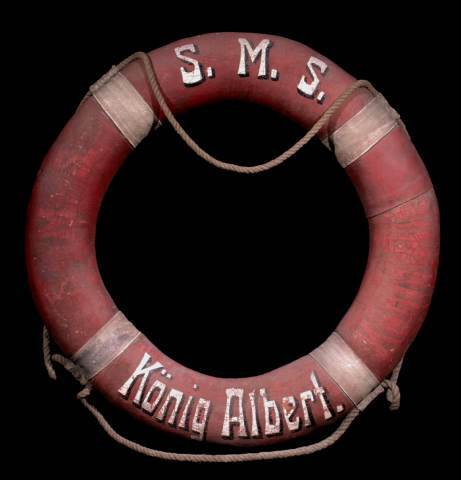 834 men lost their lives in the cold, oil filled water, with many trapped inside the ship with no hope of escape. U47 left by the same route and returned to Germany. Lt Prien was awarded the Knights Cross of the Iron Cross, presented personally by Hitler. Lt Prien died in action off the coast of Iceland on 8th March 1941 when the destroyer HMS Wolverine sank U47. The wreck of HMS Royal Oak is a war grave and diving is forbidden. 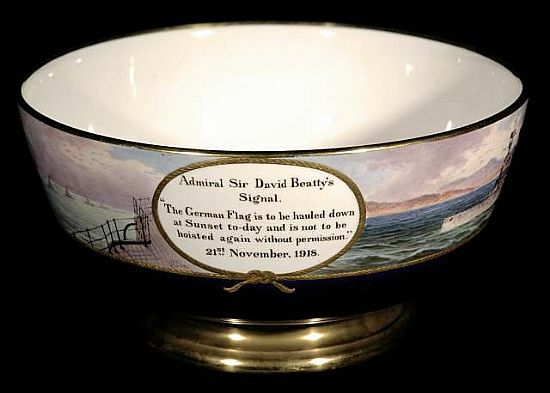 Every year on the anniversary of the sinking, a memorial service is held over the wreck site, and a Royal Navy diver places a white ensign on her hull. As a direct consequence of the loss of the HMS Royal Oak, Winston Churchill - not yet Prime Minster - travelled to Orkney and gave the order that permanent barriers be built to protect Scapa Flow's eastern approaches. We still use these Churchill Barriers today to travel to Burray and South Ronaldsay. By the end of the war, Scapa Flow was one of the most heavily defended places on earth. 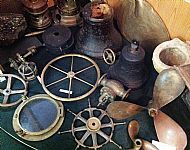 Our wartime naval history in Orkney is extensive. Below is just a fraction of what we have to offer. 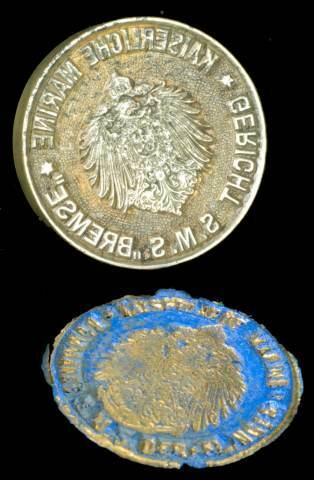 An impression from the seal of the German ship Derfflinger which was scuttled in Scapa Flow. The original seal stamp is in Germany. Solid bronze ornamental dolphin/fish-like sea creature from the pinnacle of HMS Royal Oak. 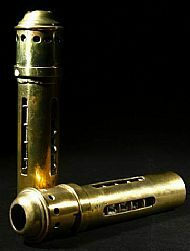 460x195mm. 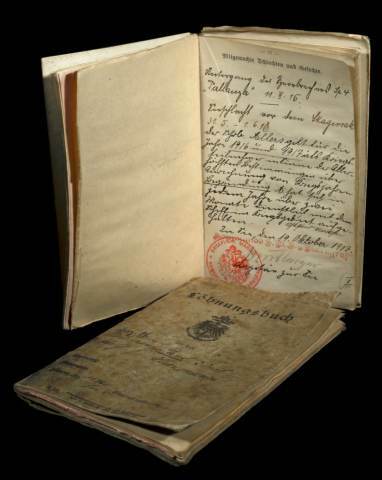 The log book of Johannes Allers who served on SMS Markgraf 1916 - 1918, and was at the battle of Jutland. A lifebelt from SMS Konig Albert which was scuttled in Scapa Flow. 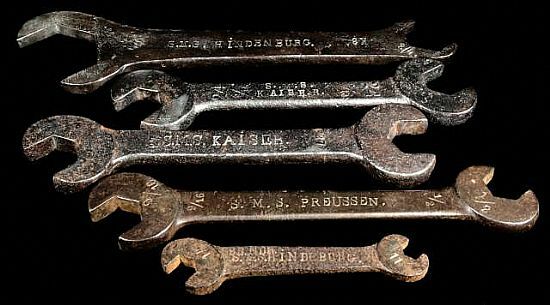 Some spanners from the German Fleet. SMS Hindenburgh is stamped on one side. 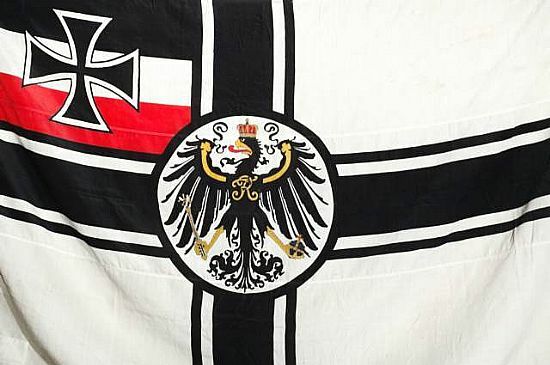 German Imperial ensign from SMS Hindenburg. 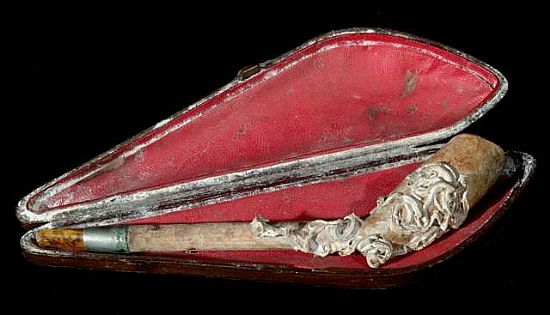 A clay pipe in a hinged leather case with red lining. 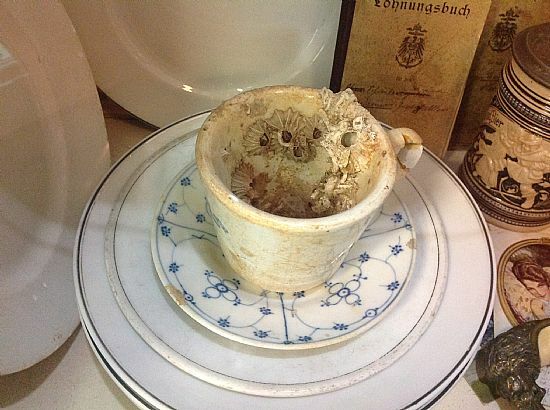 It was found in 1970 and is believe to be from the German Fleet. 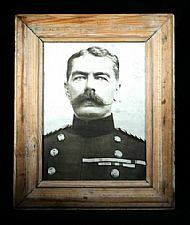 Photograph of Lord Kitchener, Minister of War, who died on 5th June 1916 when HMS Hampshire struck a mine off Orkney. 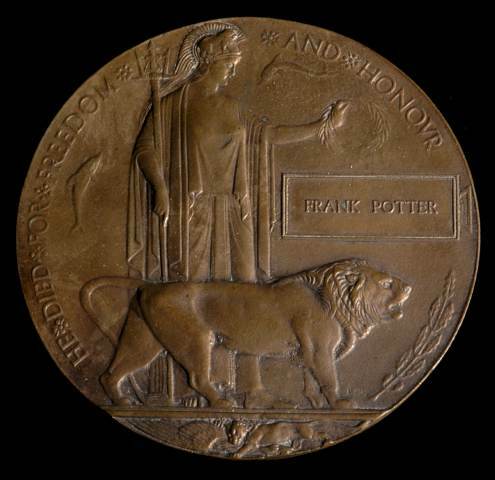 Photograph of Boy 1st Class Frank Potter who was lost at the age of 16. He was on board HMS Hampshire when she struck a mine off Orkney on 5th June 1916. 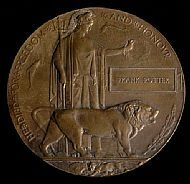 First World War bronze, commemorative plaque or 'death penny' issued in the name of Frank Potter - see above. 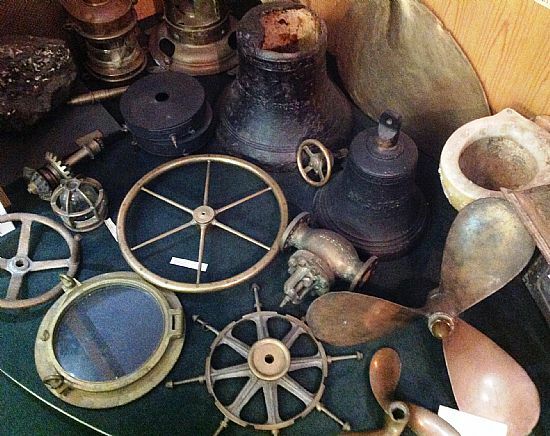 Brass candlesticks from the scuttled German Fleet.